Welcome back! 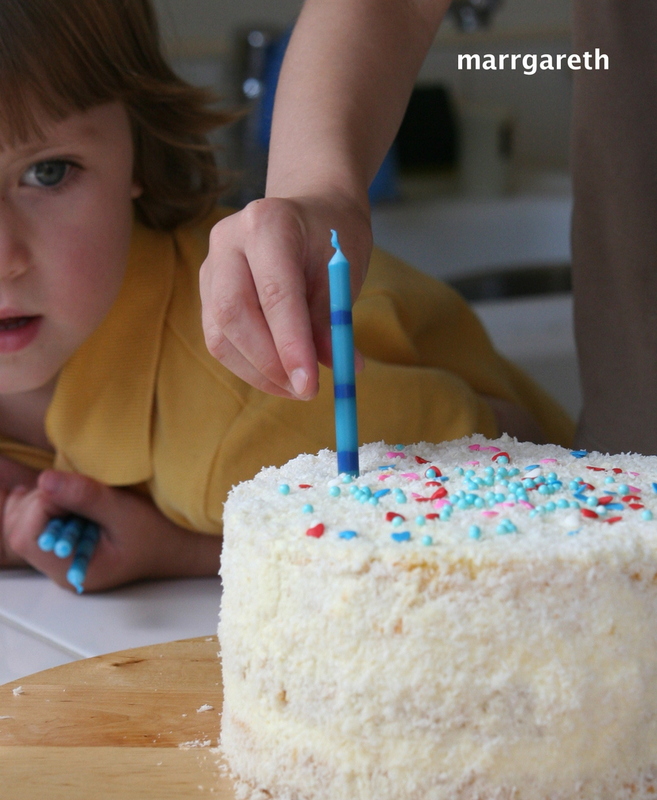 Would you like to decorate a birthday cake with your children but you have no idea where to start? Or, maybe you are afraid of mess? Do not panic, just follow my directions, there will be no mess and everything will go “smoothly”. my three-years old son likes blue colour. 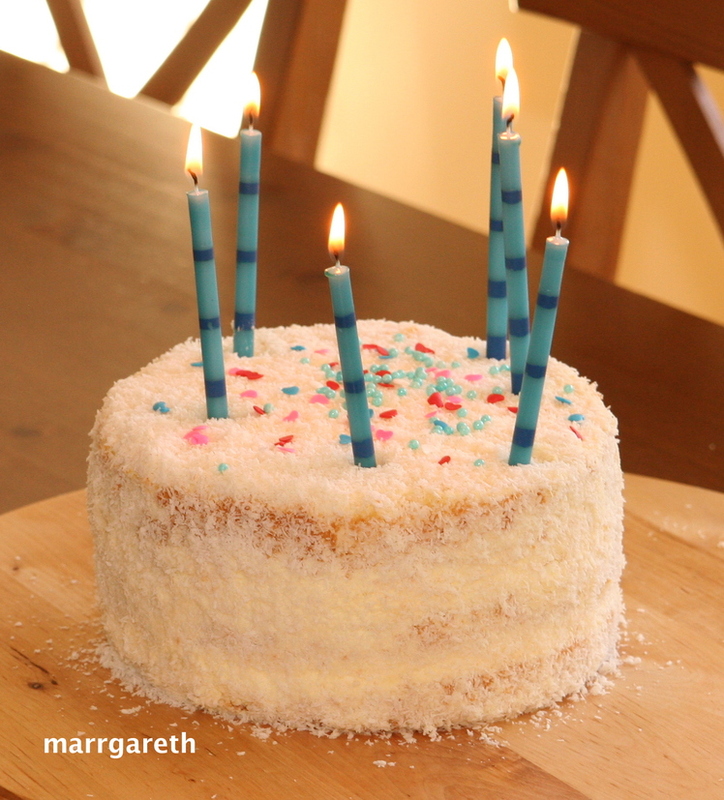 As a result, I got blue candles and two types of sprinkles: multi coloured hearts and blue sugar balls. 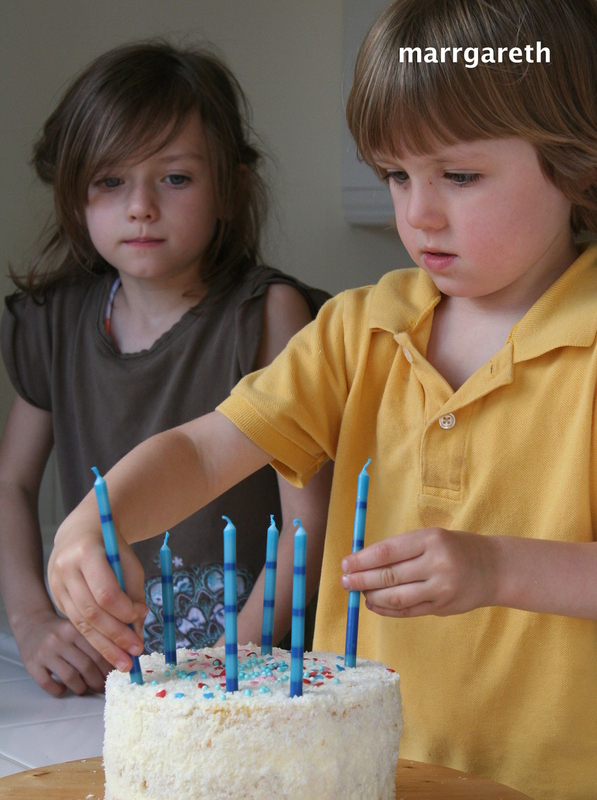 There was six candles, three for each child. It is not too difficult to guess which sprinkles went to which child. 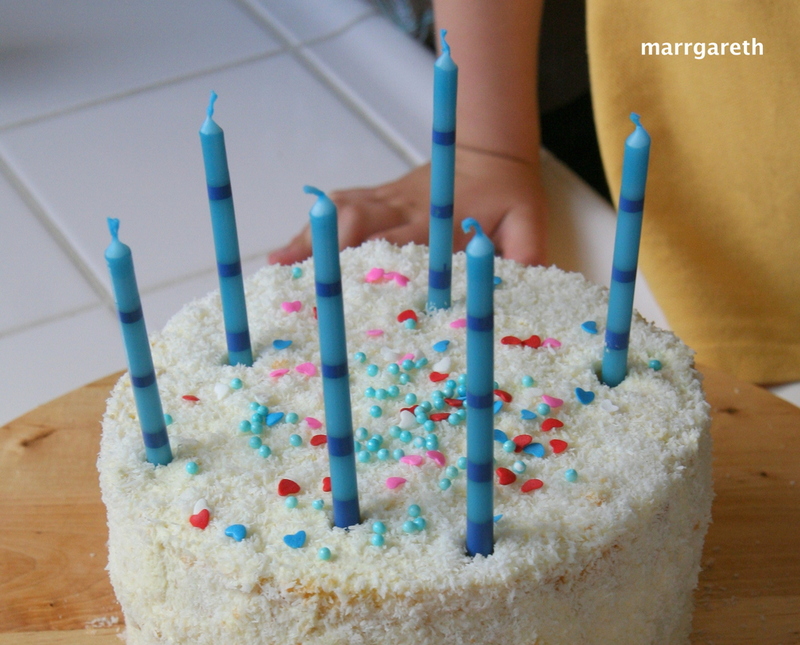 If you plan to use an odd number of candles, split them evenly between children and put any excess candles on the cake yourself. When everything was ready I explained the plan to the children. After washing our hands each child got their decoration items. 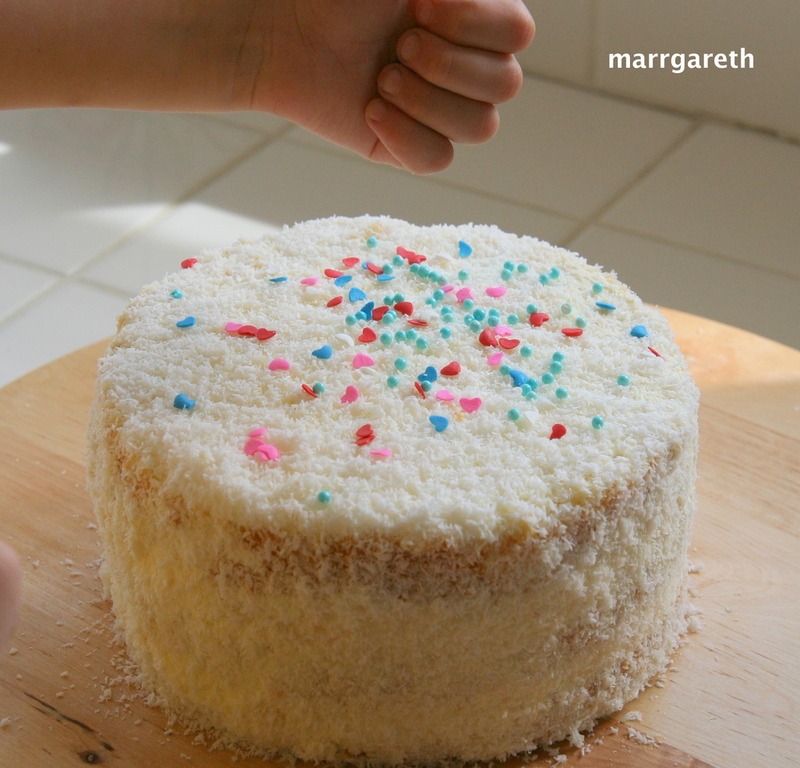 We started with the sprinkles, one child at a time. I wish you to have as much fun as we did.